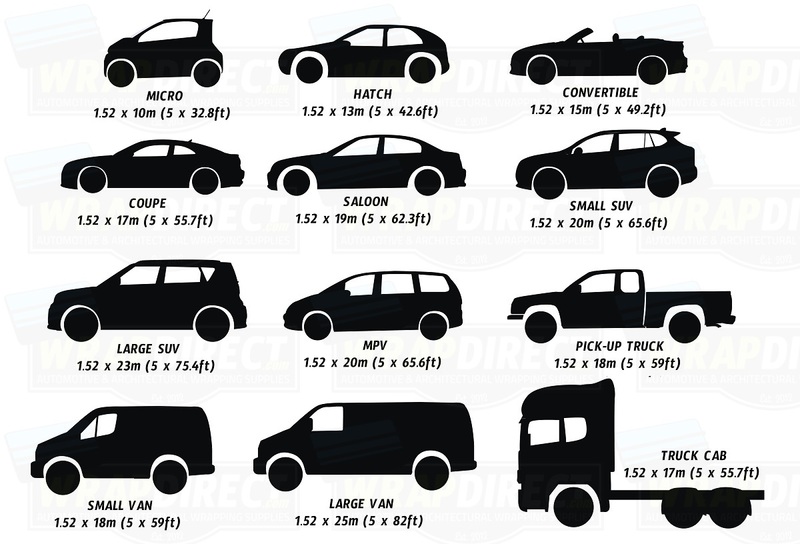 Here we give you a guide to the sizes needed for your wrapping projects. These sizes are the general sizes needed for each project but it is always best if you can measure your project accurately. For Cars, Vans and Trucks these are estimates you may need. It is best if you can measure up accurately but this guide will be very close to what you need, also when measuring always add a little extra as it is always better to have more than to have less. For partial vehicle wraps like roof wrapping it is best to measure up exactly as roofs can range from 1.5m to 3m in length. 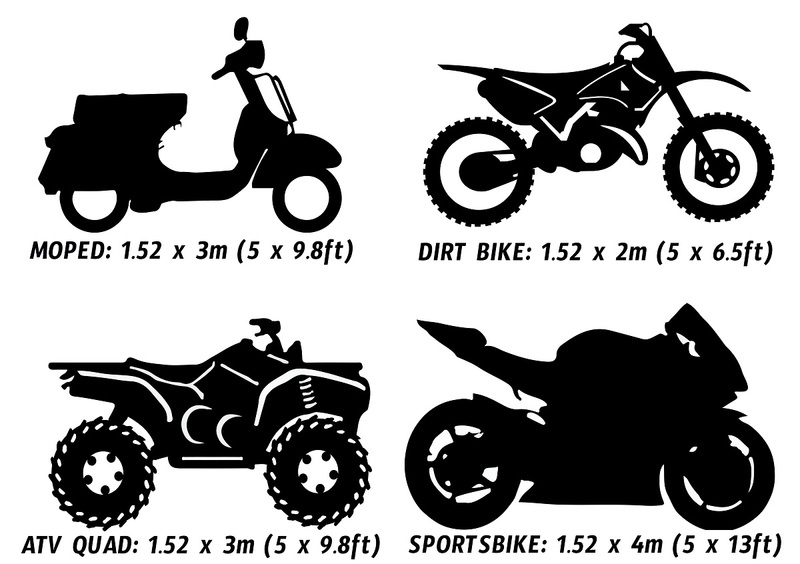 For Motorcycles, Scramblers, Mopeds and ATV QUADS it is a little more easier to measure up as there are not too many variations in sizes of each. If it is a large touring bike like a Gullwing then maybe add an extra meter. 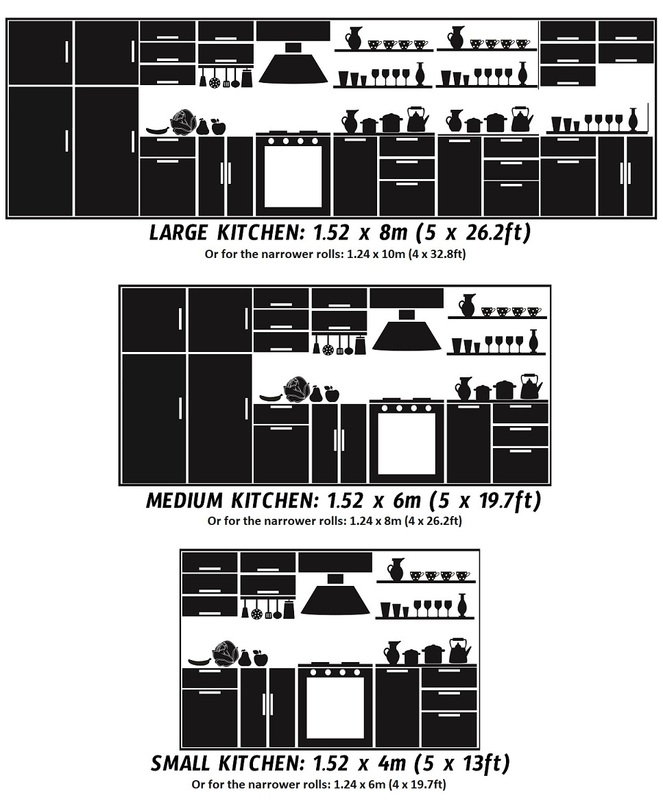 Kitchen and furniture wrapping projects are much harder to accurately measure but this rough guide will give you an idea of what you may need. When measure always allow for wrapping around the edges.